Sleeping cots and bird feeders? It might seem like an unusual product lineup, but Byer of Maine makes it work. The company was founded in 1880 as a textile maker and started producing folding cots during World War II. Making cots for the military, disaster relief organizations, and emergency shelters is still a core part of its business, but with company president Jay Shields at the helm, Byer of Maine has taken to sheltering our fine feathered friends, too. The company’s bird houses and feeders have clever features and thoughtful configurations that naturally cater to the birds. At the same time, they have a distinctive, sculptural quality that adds something special to your outdoor living space. 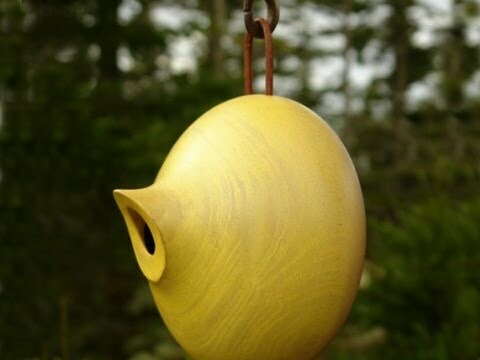 Byer of Maine’s bird homes are made from mango wood. The wood is hand-turned by artisans and dried in kilns fueled by the mango wood shavings. Each home comes with drainage holes, to ensure the nest is dry during the rainy season, and a removable hatch for seasonal cleaning. The stoneware bird feeders are constructed with heavy duty porcelain and include an attached tray to catch fallen bird seed. 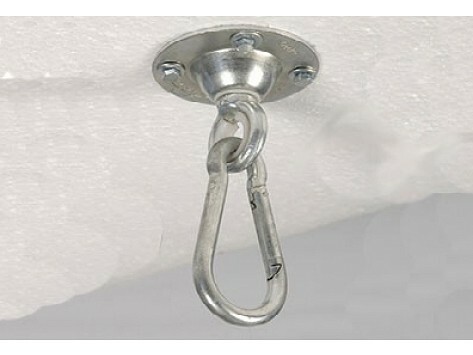 Forged steel hooks make it easy to hang the feeders.